The single wedge clamps keep the workpieces steadily in place, not allowing upward or downward movement. #47100 Mitee-Bite Single-Wedge Ok-Vise® Clamps Model AK2-VT-SO with Smooth Jaws, 10-32, 3/4. Typical..
#47115 Mitee-Bite Single-Wedge Ok-Vise® Clamps Model BK2-VT with Serrated Jaws, 5/16-18 x 3/4. 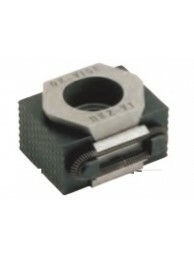 ..
#47105 Mitee-Bite Single-Wedge Ok-Vise® Clamps Model BK2-VT-O with Serrated Jaws, 5/16-18 x 3/4..
#47110 Mitee-Bite Single-Wedge Ok-Vise® Clamps Model BK2-VT-S with Smooth Jaws, 5/16-18 x 3/4. ..
#47130 Mitee-Bite Single-Wedge Ok-Vise® Clamps Model DK2-VTI with Serrated Jaws, 1/2-13 x 1-1/4..
#47160 Mitee-Bite Single-Wedge Ok-Vise® Clamps Model FK2-VT with Serrated Jaws, 5/8-11 x 1 1/2 ..
#47103 Mitee-Bite Single-Wedge Ok-Vise® Clamps with Smooth Jaws Model BK2-VT-SO, 5/16-18 x..
#47113 Mitee-Bite Single-Wedge Ok-Vise® Stainless Steel Clamps Model BK2-VT-SS with Smooth Jaws..